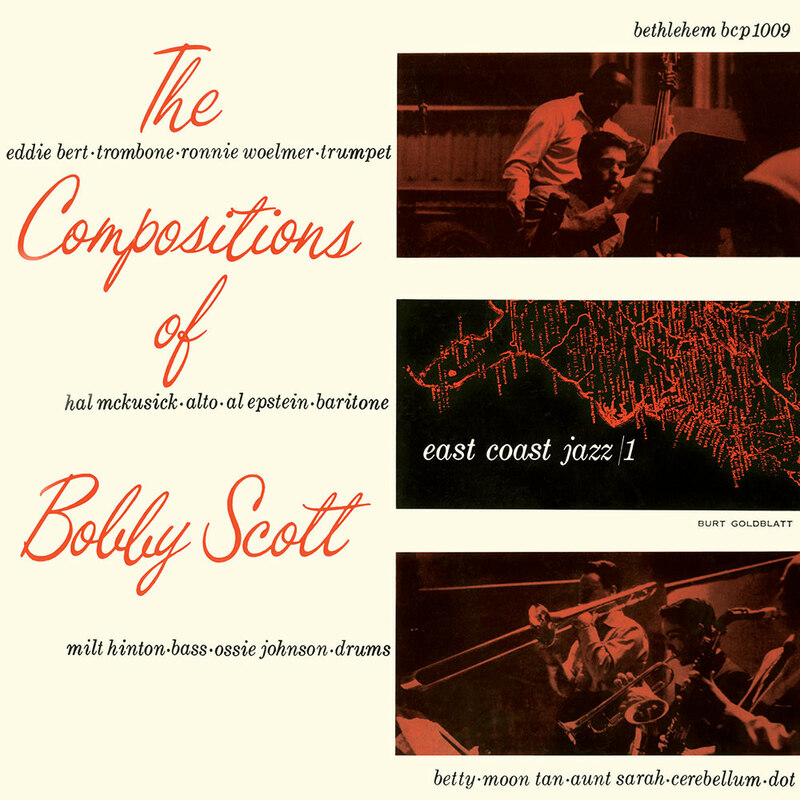 "It's a shame Scott's jazz work isn't better known today ... these sessions have a certain understated confidence and charisma that sound terrific today ... Scott had a seductive way with counterpoint, choosing to have instruments function as choral voices rather than relentlessly resolving competitors. He also had a fine ear for the distinct sounds of individual instrumentalists and where each should solo. You also can hear the kind of restlessness in the writing that comes from someone whose intellect is ahead of his years." This is the first volume in the East Coast Jazz series, the brainchild of Bethlehem Records producer Creed Taylor, who launched the albums in 1954 to distinguish new music emerging in New York from the new jazz coming out of Los Angeles and San Francisco. On this inaugural release, the talent of pianist Bobby Scott is showcased, both as a musician and as a composer.